How to Get the Best of Mary Berry on Your Bookshelf (£20 with Waterstones promo codes), something that contains, well, her absolute favourites. No other explanation or recommendation required. 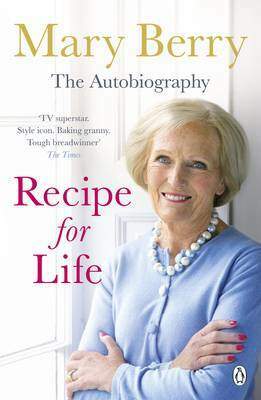 If you have your own kitchen aspirations, you might want to find out how the lady herself rose to such great heights, so as well as investing in a Mary Berry cookbook, why not have a read of her very own autobiography? Recipe for Life (£5.99 with Waterstones promo codes) tells her story, from developing a love of cooking and baking after suffering from polio as a teenager to a becoming a cookery writer and magazine editor and eventually one of the UK’s most loved TV personalities and yes, style icons. So invest in a Mary Berry cookbook or two and prepare your kitchen for some autumnal bakes as well yourself for those Mary Berry withdrawal symptoms, once this series of Bake Off comes to an end in a few weeks’ time.